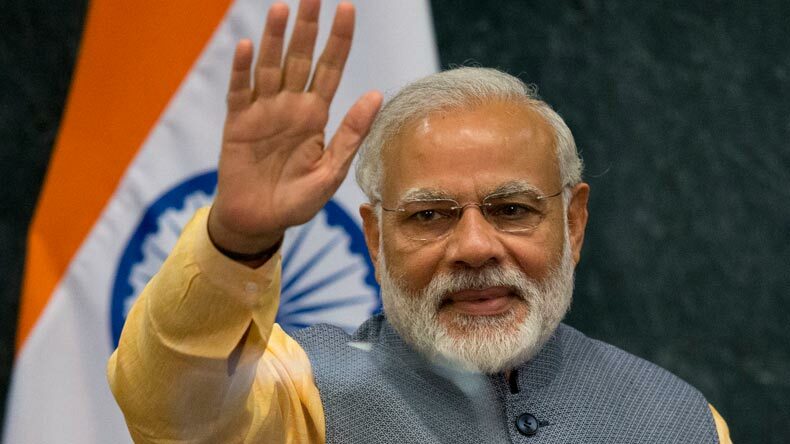 Prime Minister Narendra Modi on Wednesday slammed Congress Vice President Rahul Gandhi for his visit to Somnath temple, saying the country's first Prime Minister Jawaharlal Nehru had opposed the idea of building a temple. Amid rigorous election campaigning in poll-bound state Gujarat after unveiling Global Entrepreneurship Summit in Hyderabad, Prime Minister Narendra Modi slammed Gandhi scion for calling GST ‘Gabbar Singh Tax’. Prime Minister Modi said that those who have looted the country can only think of dacoits. “Those who have looted the country can only think of dacoits,” Modi said at his rally in Morbi. Further taking a jibe at the Congress vice-president Modi dubbed his demand of keeping a uniform 18% GST as ‘Grand Stupid Thought’. Morbi region in Gujarat, where PM Modi was addressing a rally has a long history of water crisis. Addressing voters there PM Modi said,” The main issue in Kutch and Saurashtra when we came to power was the water shortage. Lack of adequate water was affecting society. The BJP government changed this and got waters of the Narmada to these regions.” In a show of strength Patidar leader Hardik Patel also addressed 30 km from Morbi, where PM Modi addressed a public gathering. Prime Minister Narendra Modi on Wednesday slammed Congress Vice President Rahul Gandhi for his visit to Somnath temple, saying the country’s first Prime Minister Jawaharlal Nehru had opposed the idea of building a temple. “If there was no Sardar Patel, the temple in Somnath would never have been possible. Today some people are remembering Somanth, I have to ask them – Have you forgotten your history? Your family members, our first Prime Minister, was not happy with the idea of a temple being built there,” Modi said while addressing an election rally in Prachi. He said that when Dr. Rajendra Prasad was to come to inaugurate the Somnath temple, Pandit Nehru expressed his displeasure. “Sardar Patel dreamt about the Narmada but your family did not let that dream fulfill,” he said. Hitting out at the Congress for blocking the passage of a bill in Rajya Sabha that confers constitutional status on the National Commission for Backward Classes, Modi said he will ensure that the bill gets passed in the upcoming Winter Session of Parliament.